Comfort, by definition, should be given. 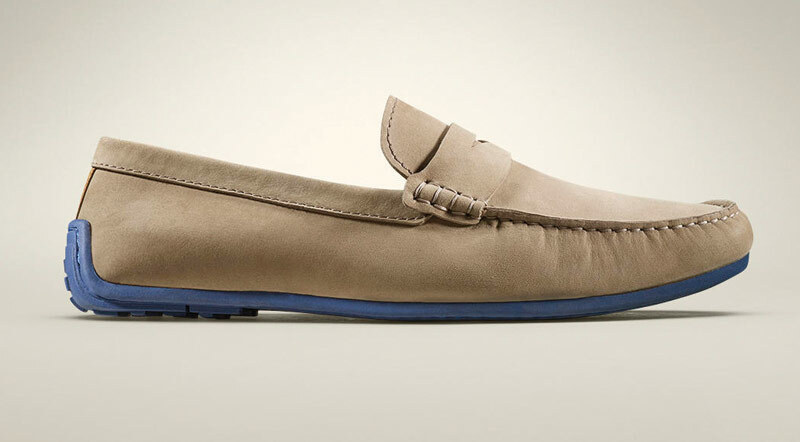 But in the annals of footwear history, the ability to be comfortable and stylish has long been an either-or scenario. No more, as brands increasingly blend the best of both worlds to produce versatile, all-day wear that looks and feels great. For Spring ’17, fashion spans trend-right athleisure looks to casual classics, reflecting the go-to wardrobe staples these brands are becoming. Scott Home, president of Coolway and its new offshoot Freestyle by Coolway, is the first to admit that the athleisure/comfort category is already a crowded market. So when parent company Yorga Group decided to dive into said category with the new brand for Spring ’17, Home knew the product would have to be truly unique to garner shelf space. And with young CEO Carlos Mayordomo at the helm, Freestyle by Coolway is aiming to capture a young, trendy consumer looking for something slightly offbeat. When Bruce Katz launched Samuel Hubbard in 2014, it wasn’t his first rodeo. Katz, along with his father, Saul, built Rockport from the ground-up before selling it to Reebok for millions and then taking some (well-earned) time off—28 years, to be exact—from the shoe business. After the passing of his father, Katz got to thinking about re-establishing the family’s place in footwear and decided to do it in a way that would honor his family’s legacy. That he has, but a good pedigree won’t sell shoes on its own. 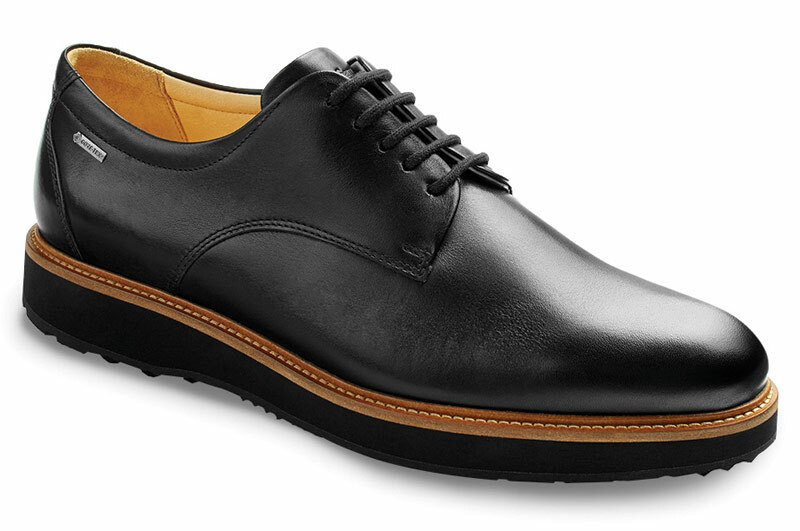 So Katz enlisted industry veteran—and his father’s right-hand man—Werner Wyrsch and set out to make “the most comfortable shoe we’ve ever made.” Instead of trying to keep up with the market’s ever-speeding calendar, Wyrsch and Katz took their time—a year-and-a-half, in total—to develop a shoe that met their strict comfort criteria. It’s a devotion to getting things right, Katz says, that sets his brand apart from the sea of comfort brands in the marketplace. “A lot of people put comfort features in shoes now,” he says. “Everyone wants to make light shoes with orthotics and linings, but because of the way the shoe business runs—make 100 shoes then 100 new ones—it’s very hard to make a shoe right.” Katz recalls recently going into the company store of a leading athletic brand that was boasting a “revolutionary” new technology. When he tried them on, the shoes didn’t fit properly. “Here’s a company with billions of dollars worth of shoes, and they didn’t get it right,” he says. By not adhering to a rigid calendar schedule, Samuel Hubbard completes a shoe from the last outward. The overall focus is on function where every point of contact is designed to be smooth and comfortable. For example, a hidden padded collar means no hard contact around the ankle, custom Vibram replaceable outsoles provide lightweight shock absorption and a removable triple-density Poron insole is leather-lined and conforms to the unique shape of each foot. The line, made in Portugal, retails from about $200 to $350, and Katz believes consumers are willing to pay a premium for better product. Because Samuel Hubbard’s product requires more education and appreciation than your average men’s shoe, Katz is focusing distribution on specialty retailers. “There are department stores we’ve said no thank you to, and we’ve taken it off Amazon and made a decision not to sell on Zappos,” Katz says, adding, “We are betting on the independents.” Katz believes that almost all specialty comfort dealers have a customer for Samuel Hubbard, even if it’s slightly more expensive than other comfort brands. More importantly, he believes these retailers are better able to explain the brand’s features and benefits and why it’s worth the investment. To bolster that bet, Samuel Hubbard has been running an extensive consumer print campaign—more than 1.5 billion impressions to date—to drive consumers into brick-and-mortar stores. Katz notes that the higher price point is also good for business. “If you’re selling shoes for $150 when you can be selling a pair for $200, that’s a missed opportunity,” he says. But first thing’s first: Richardson says Eree was not a shoemaker and that SAS had to educate and train her. That it did, beginning with Kim’s three-week training program in the SAS factory. The hands-on training culminated in 38-year-old Kim’s debut Hopp (meaning “bounce” in Swedish) collection this past fall. 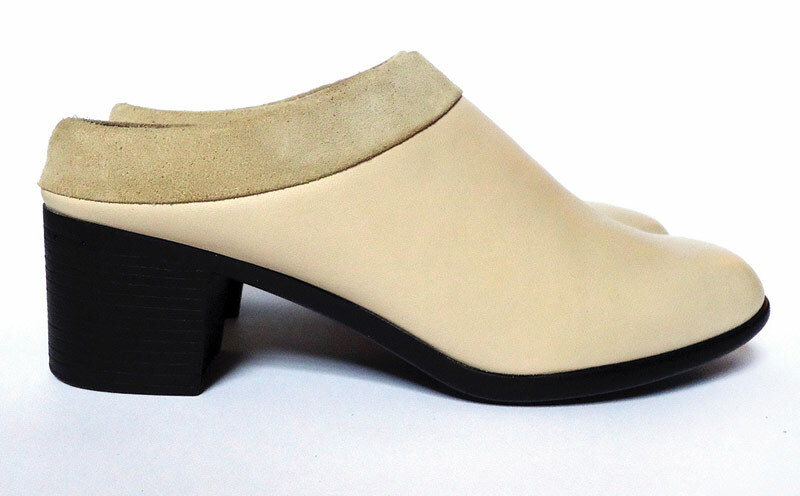 It featured a range of minimalistic oxfords and booties retailing between $160 and $215. Like SAS, Hopp consists of lightweight, flexible soles made from rubber or PU, padded upper linings and leather footbeds with arch support. Richardson notes, however, that the two brands serve different demographics and don’t consider each other competition. Instead, she believes they have met at the intersection of comfort becoming fashion and fashion becoming comfort. Specifically, Kim (who previously designed knitwear for Opening Ceremony) set out to create a comfort line from what she saw as a void in the high-fashion space. “It was so hard to find shoes that were comfy and stylish,” she explains. And unlike lines manufactured in Italy or Brazil, Kim was interested in SAS’s stateside capabilities. For nearly 200 years, Clarks has been towing the line between honoring classic styles and making breakthrough designs in comfort footwear. The recent return of President Gary Champion (who worked for the company’s North American subsidiary for 25 years, culminating in a successful run as head of sales until his exit in 2008) is the perfect representation of such: It’s both a move forward and a return to what has worked in the past in one fell swoop. Similarly, modern takes on the brand’s classics, particularly in collaboration with trendsetting streetwear boutiques like Concepts and Supreme, have earned the brand serious fashion cred of late. And it doesn’t hurt when hip hop stars like Drake hit the town—superstar girlfriends in tow—sporting classic Clarks Wallabees. Such innovations can be found in two of the brand’s more recent introductions. 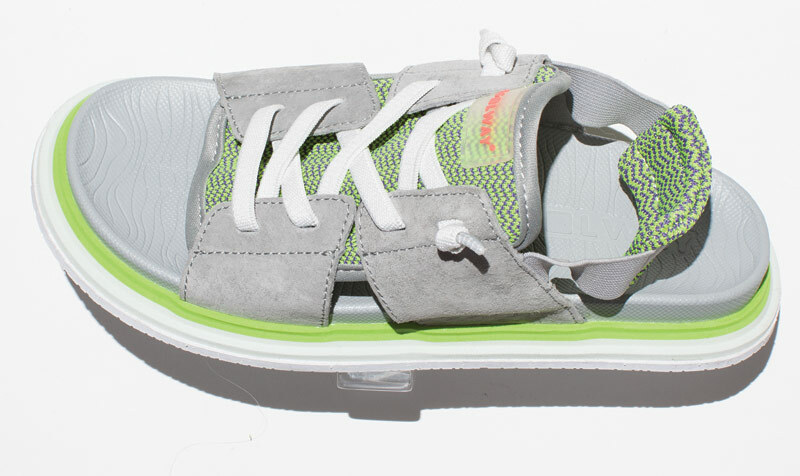 The first, Cloudsteppers by Clarks, promises incredibly light construction using materials like microfiber EVA; flexibility through a reengineered relationship between upper, insole and outsole; and soft comfort with an Ortholite footbed and high-rebound foam inlay. The other, called Unstructured, features dual-density Ortholite footbeds, added foam underfoot, a new EVA foam compound outsole and air circulation system for breathability. 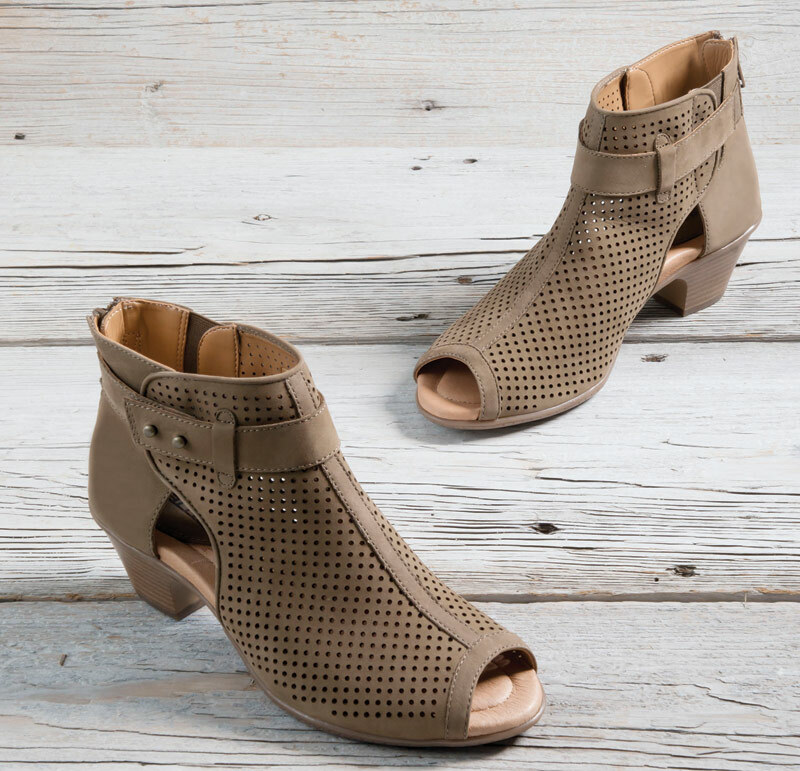 Most importantly, all those features are enclosed in stylish silhouettes spanning moccasins, sandals and wedges for women and casual sneakers and driving mocs for men.